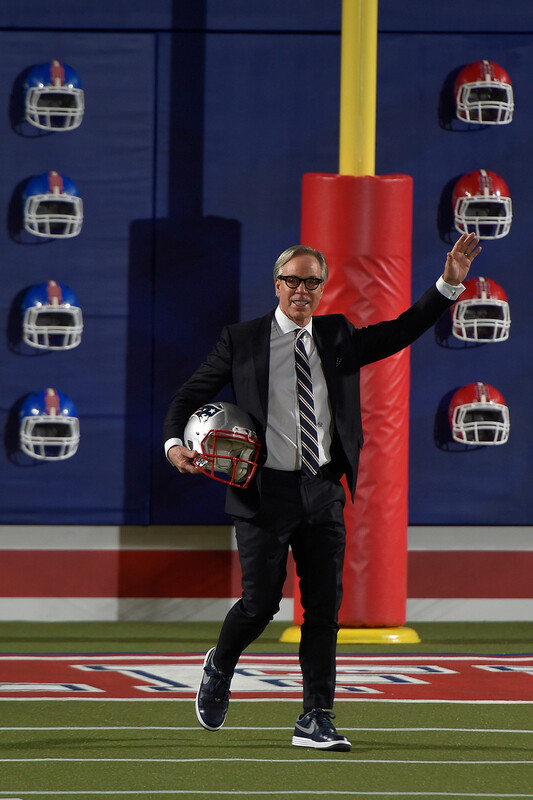 Tommy Hilfiger started his company in 1985. 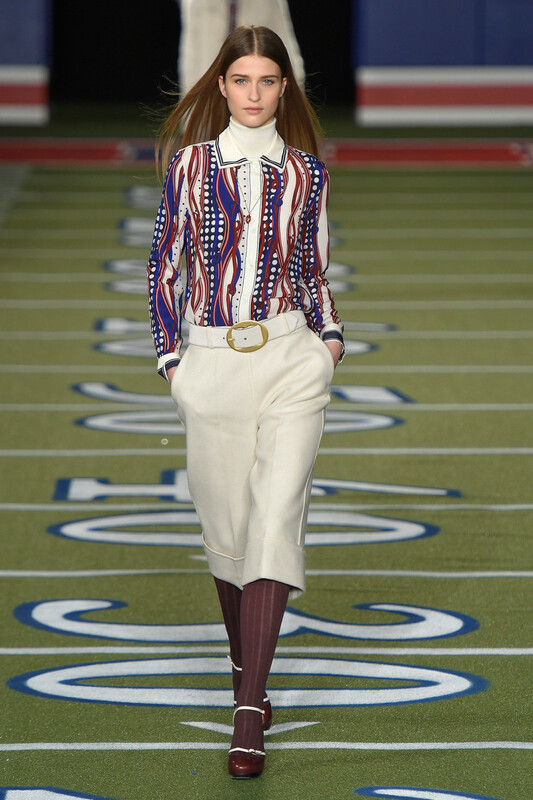 And in three decades he has established a serious company with all the Americana people love. 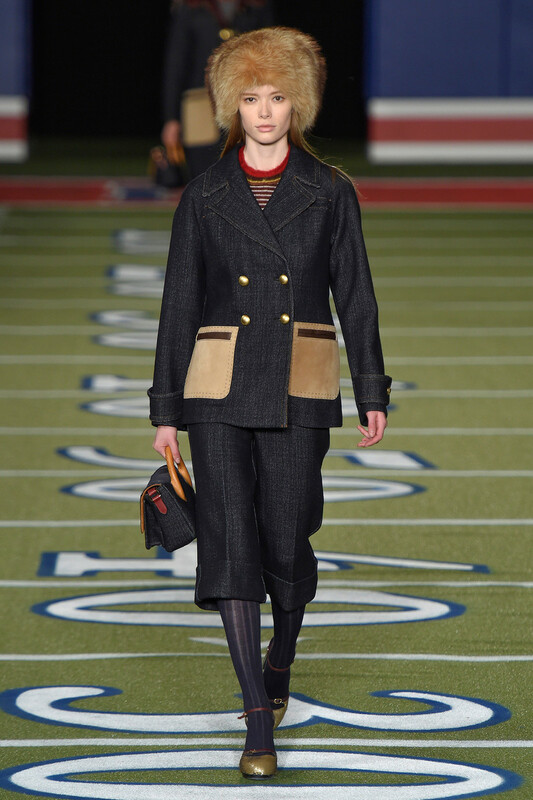 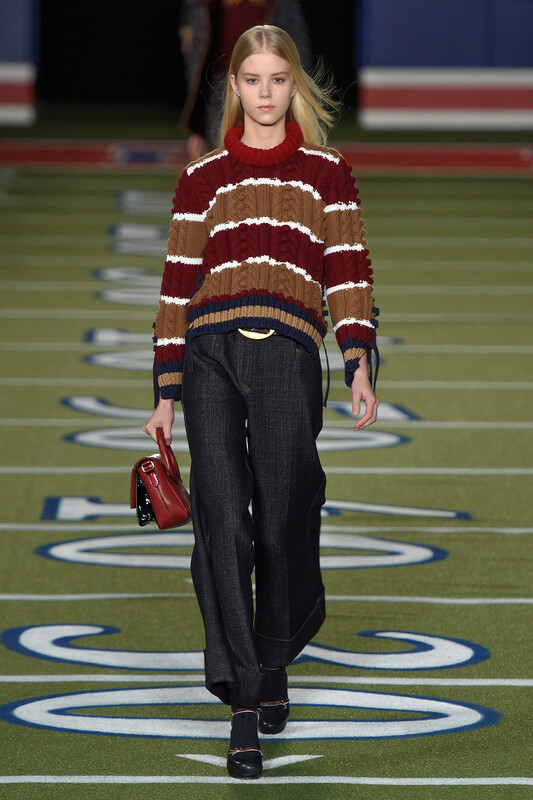 In the past 30 years, Hilfiger has ridden the wave of designer stardom, always with a certain admirable confidence. 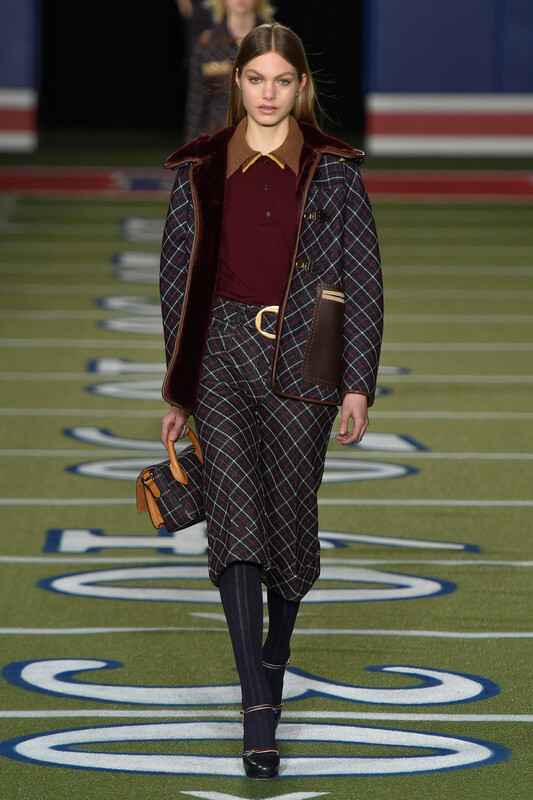 Maybe that’s because he has been unfailing in his love of Americana in its many, many guises. 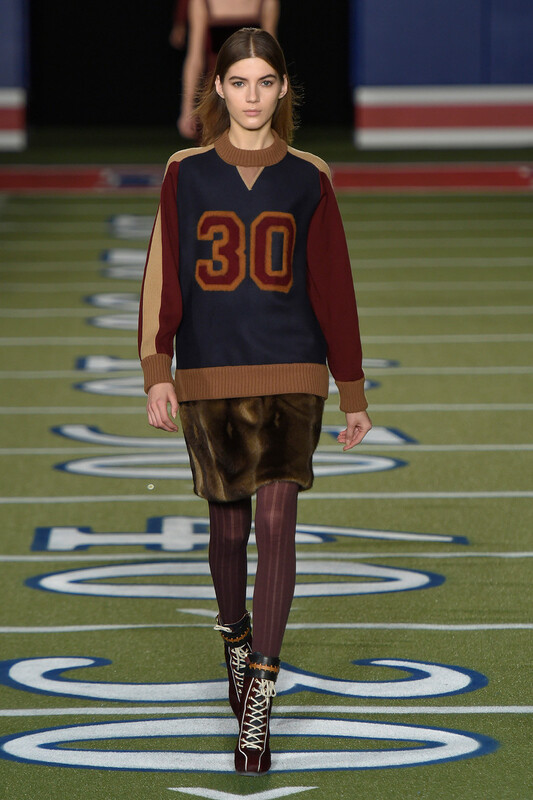 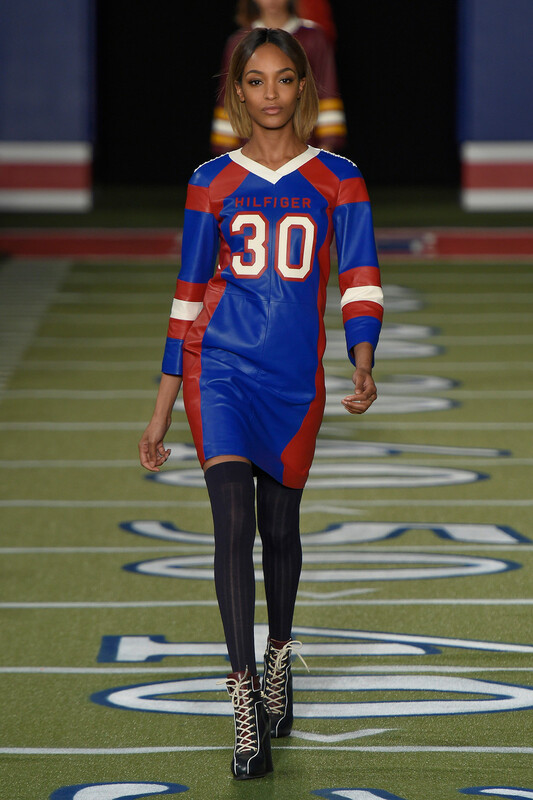 To kick off his 30th anniversary celebration, he created a Fall collection inspired equally by American football and Love Story. 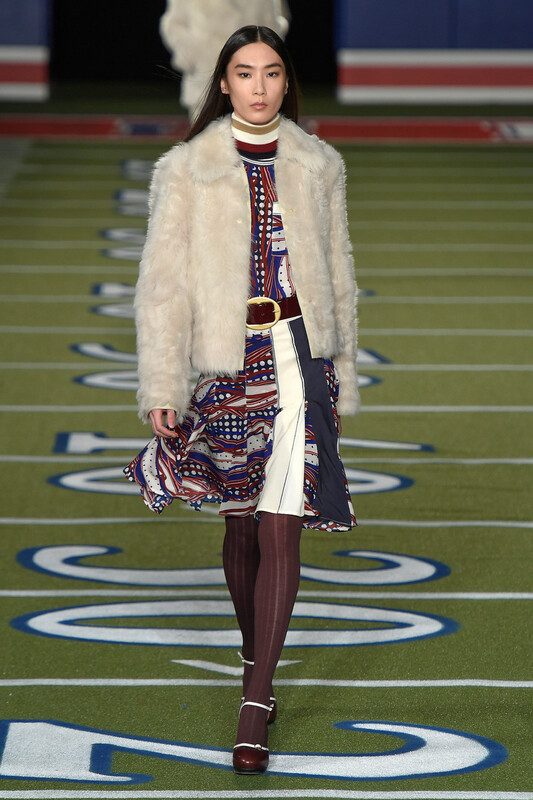 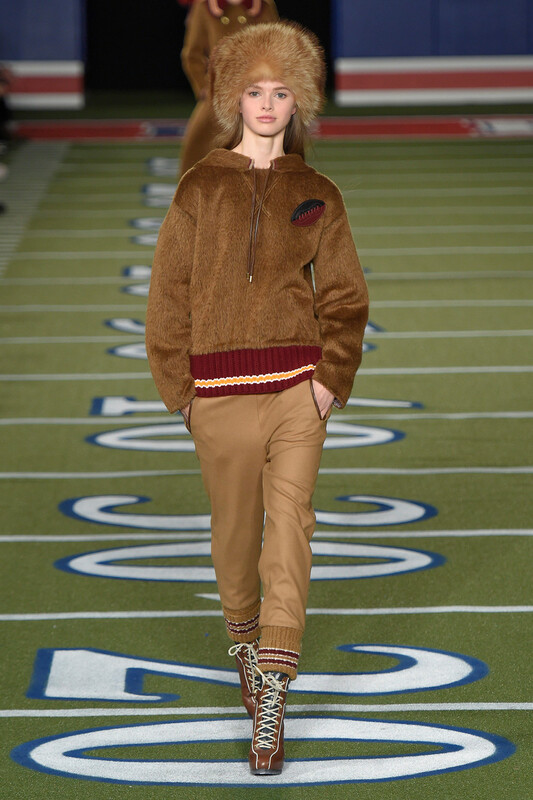 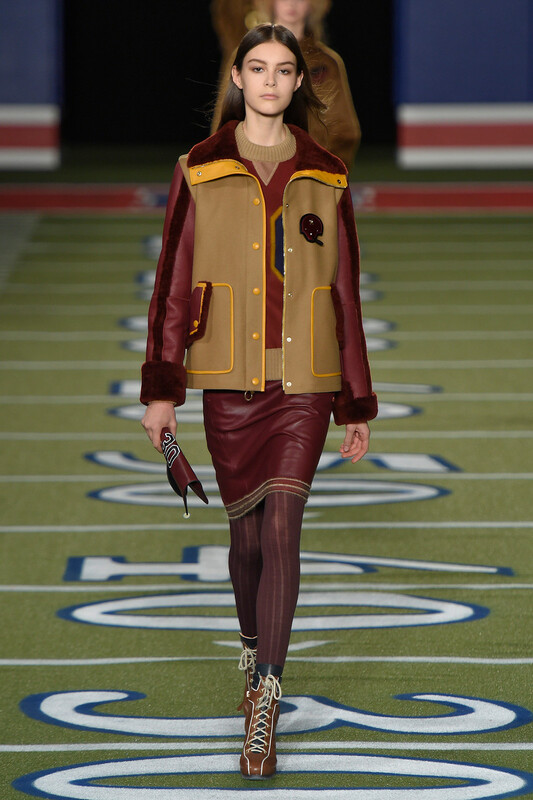 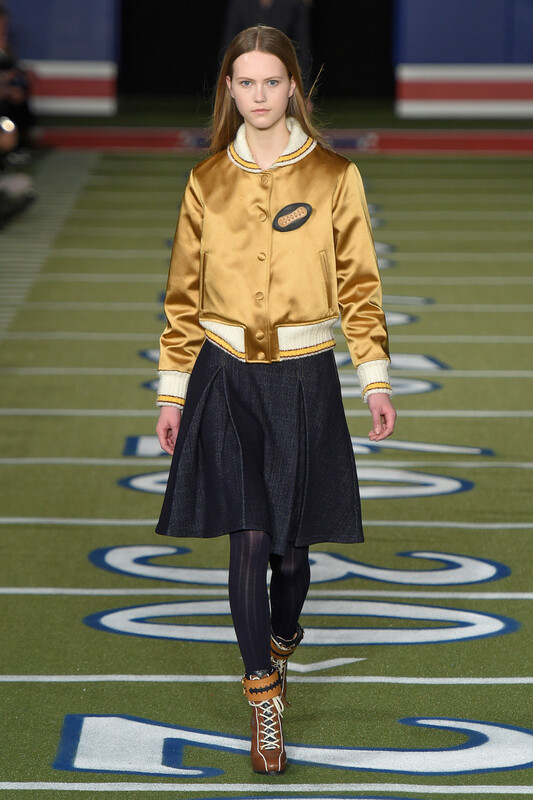 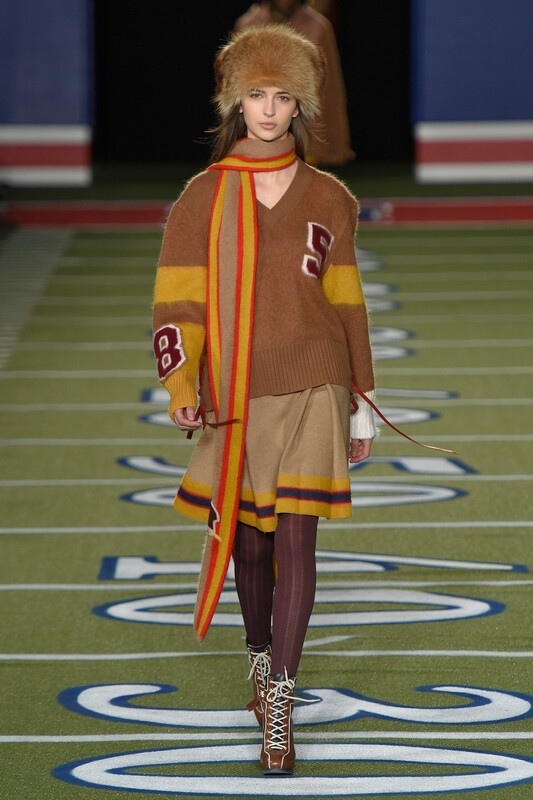 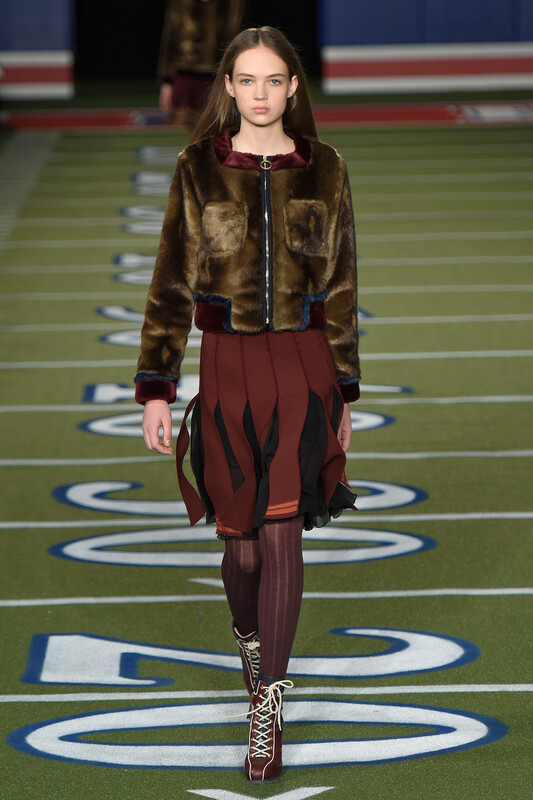 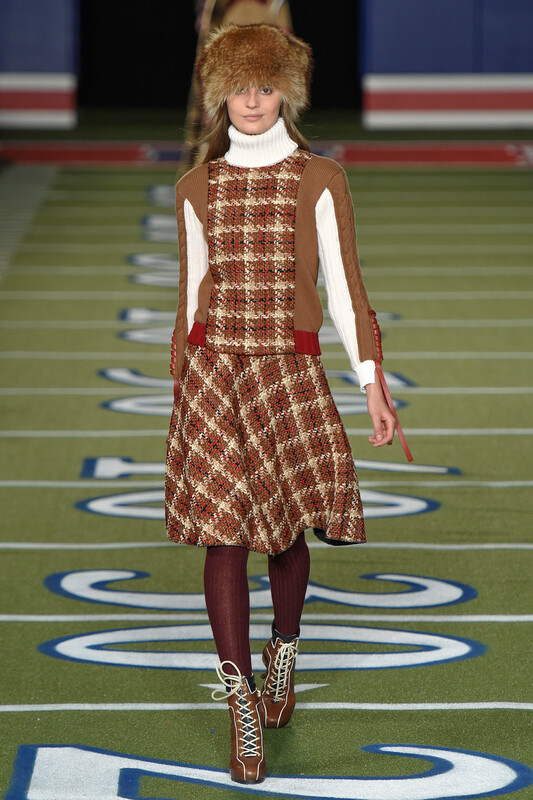 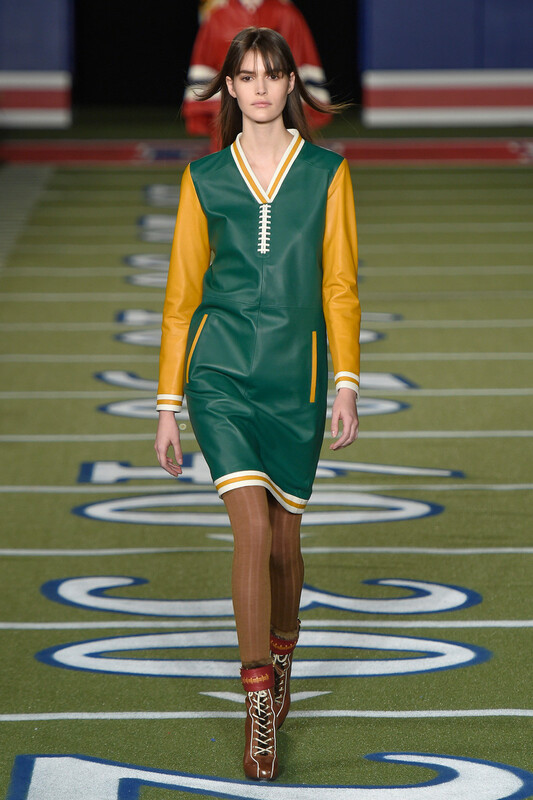 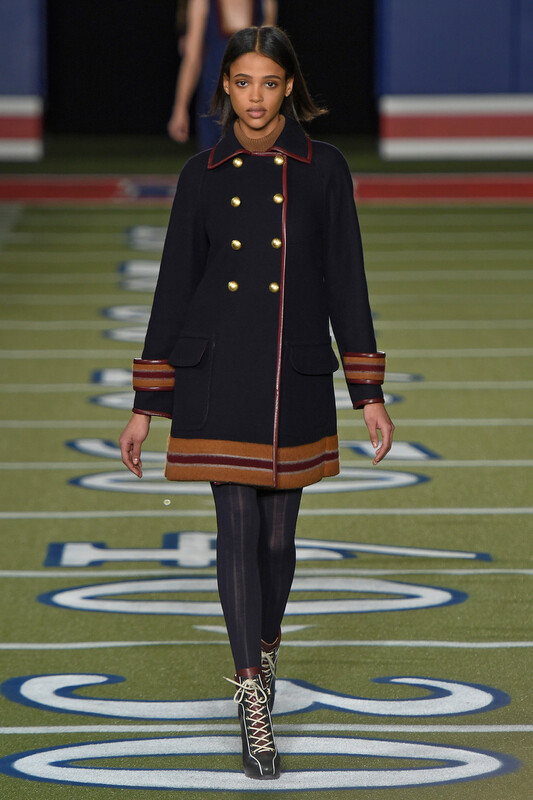 He staged the show at the Park Avenue Armory, which was transformed into a football stadium, with a Jumbotron capturing the fashion plays as models walked the runway in Ali MacGraw-inspired ’70s-prep silhouettes. 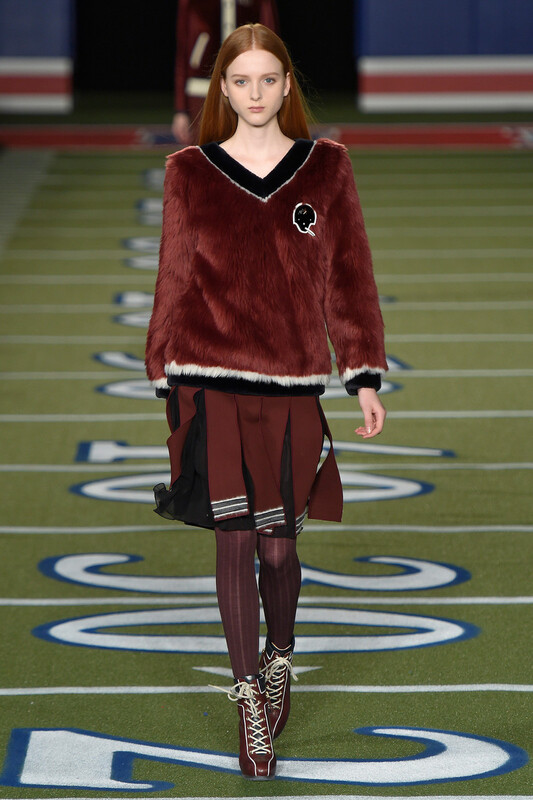 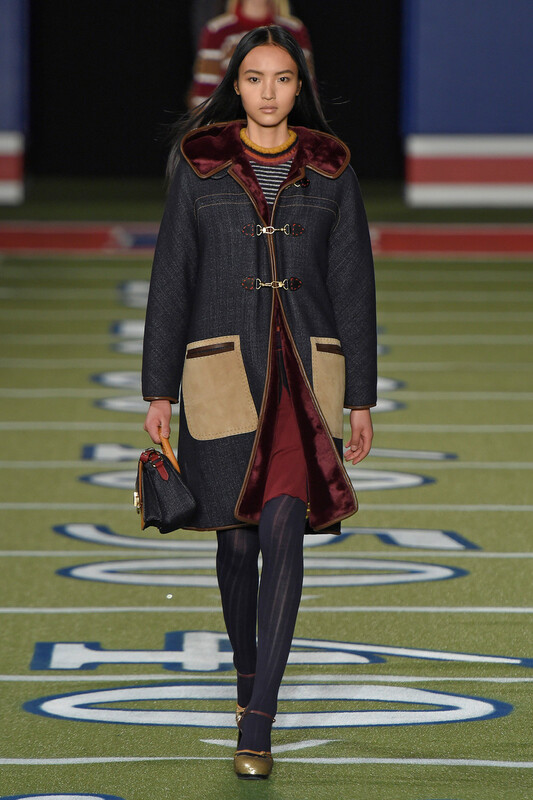 They were wearing faux-fur stadium jackets with red-stitched toggles, wool cashmere ponchos, and several looks in bouclé plaid. 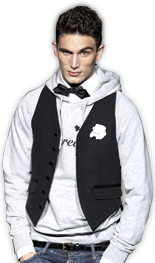 The jacket of a shorts suit, for instance, was decorated with a knitted striped collar. 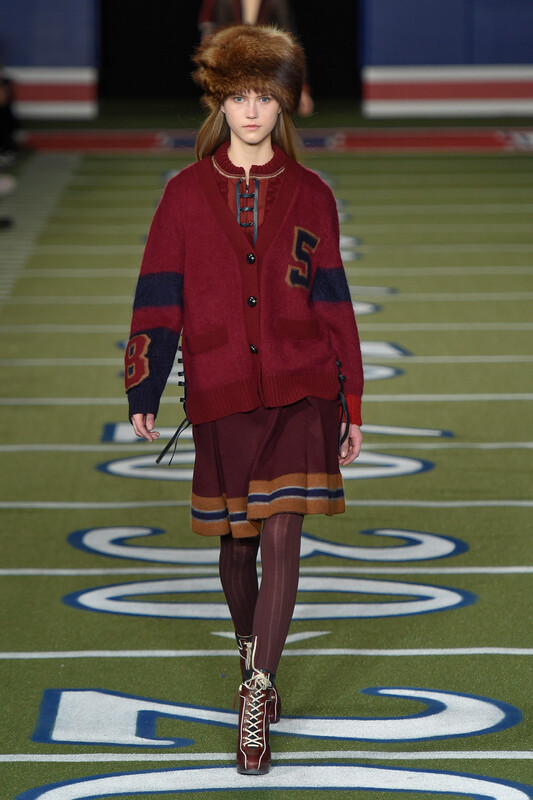 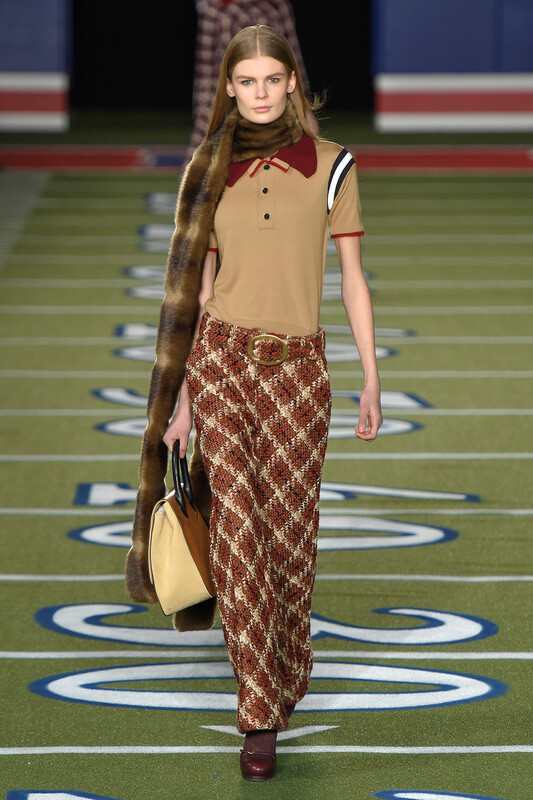 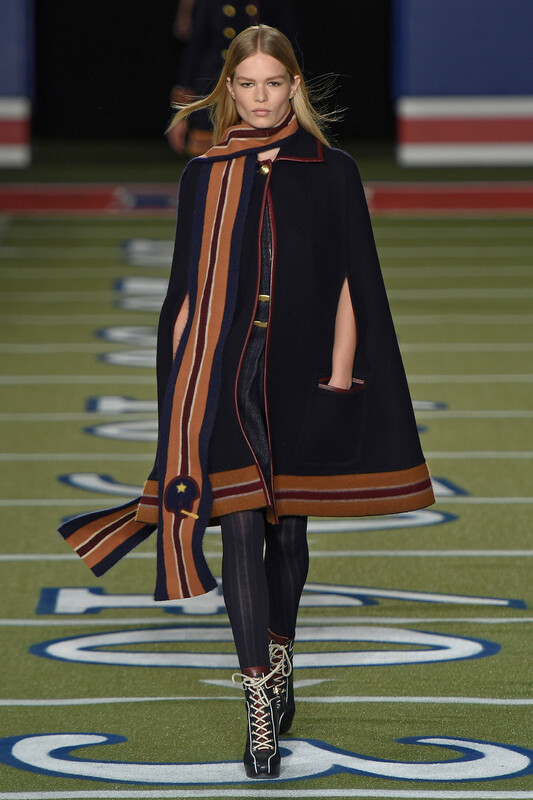 Those athletic stripes added a sporty detail to just about every item, many of which were decorated with little pins and stars reminiscent of 1940s football paraphernalia. 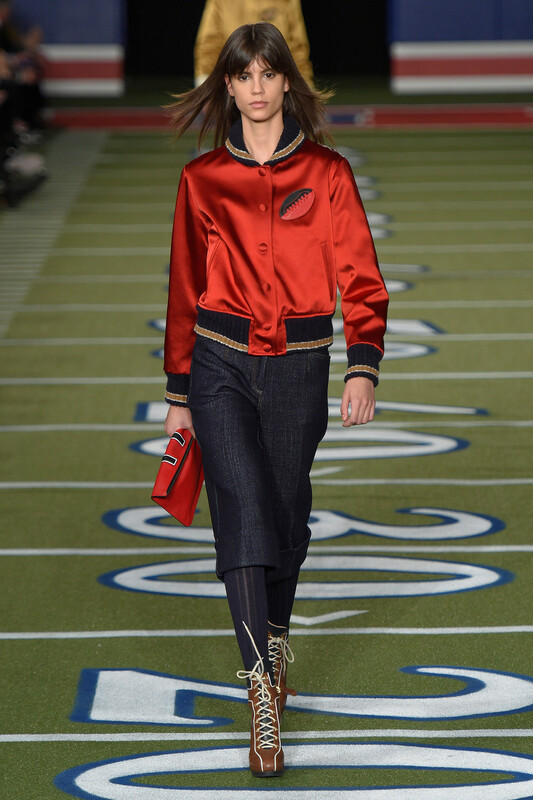 For Hilfiger, this was just the beginning of a year of celebration.